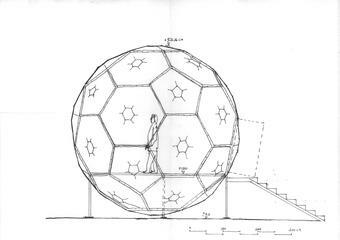 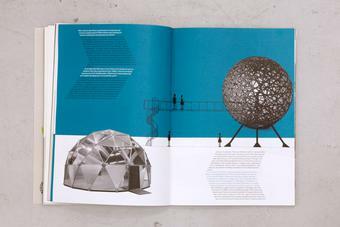 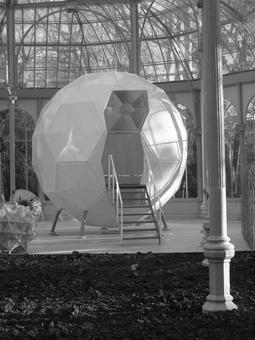 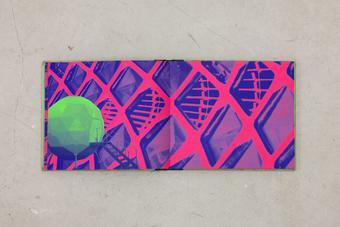 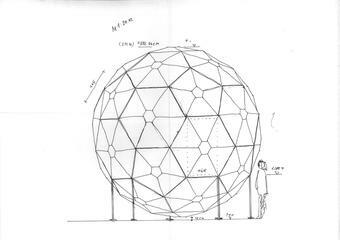 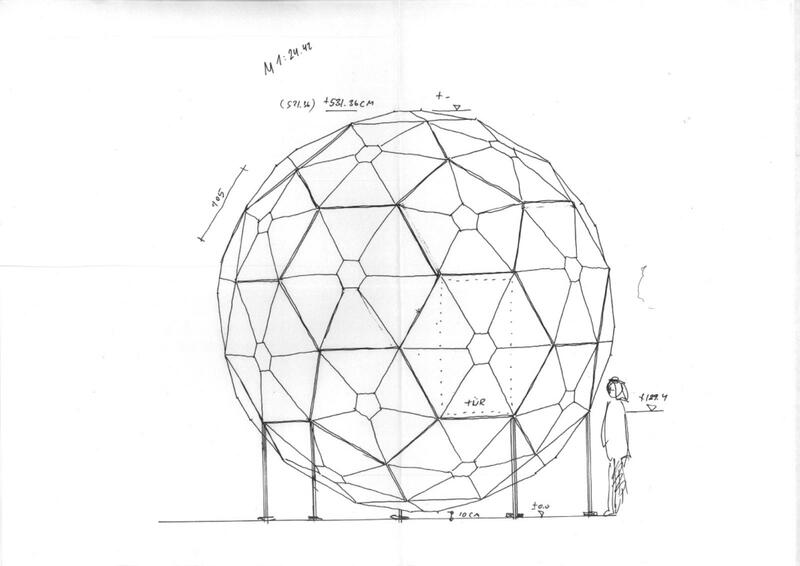 Your silent running presents a white polyhedral structure composed of alternating hexagonal and pentagonal panels, and perched on four squat legs. 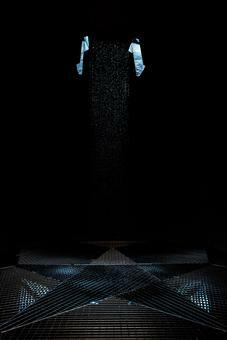 At the top of a short stairway, an angled door cut into one of the panels allows passage into the dark interior, where an array of continually pouring water droplets appear to freeze in mid-air, illuminated by the flashes of a strobe light. 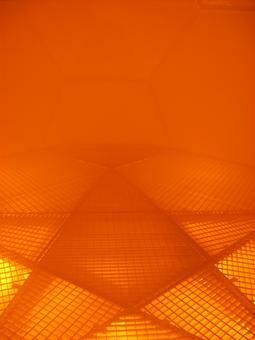 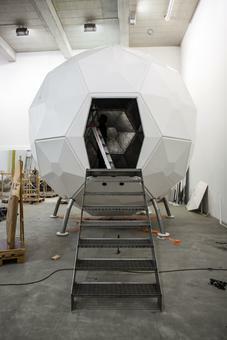 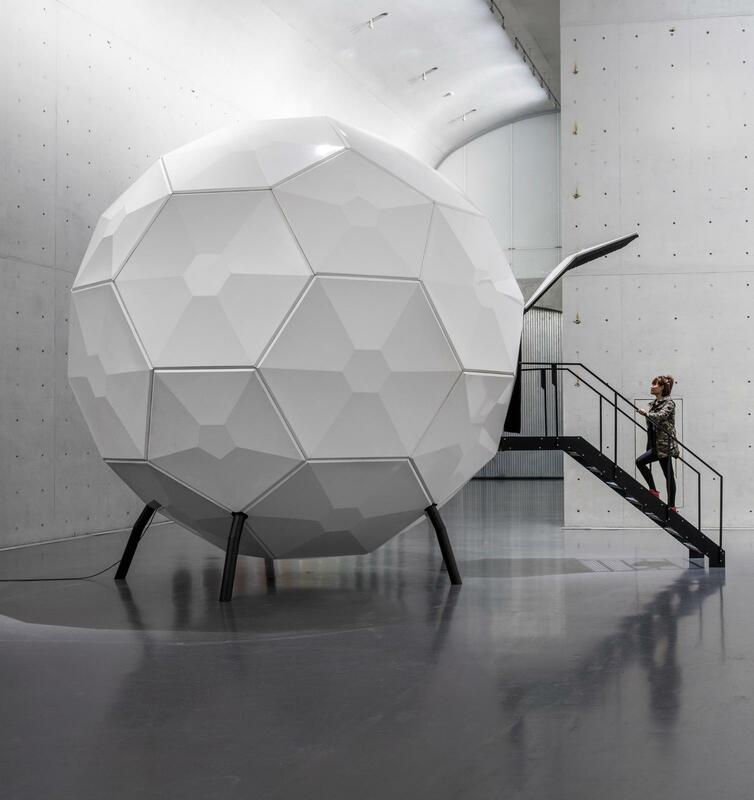 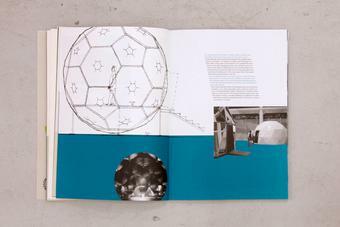 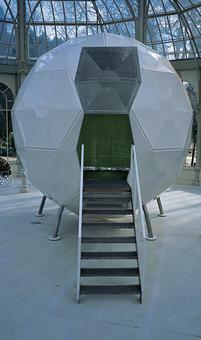 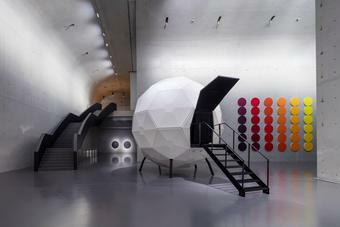 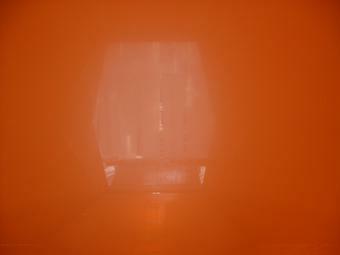 The outer shell is constructed from prefabricated fibreglass panels employed in domes that were designed by Eliasson’s long-time collaborator Einar Thorsteinn for use in the exploitation of geothermal energy in Iceland.